ChristianAid Collective: Could you live on £1 per day? "Hunger, poverty, campaigning, blah blah blah…fine, but what can we actually do about it?" Well, how about this: Stand in solidarity with the poorest people on the planet and live on £1 per day for 5 days? That’s it, £1 per day for all your food and drink. Could you do it? Let’s find out. Sign up to Live Below the Line this year and help us raise funds and awareness for the 1.4 Billion people who live in extreme poverty. 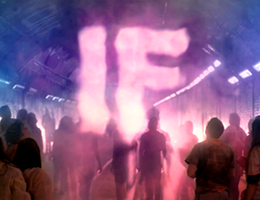 Whilst we’re talking about food have you seen this amazing film from the IF campaign yet? We highly recommend it, and not just because some of you were involved in making it.